What some people might not know about Halloween is the fact that it traces its roots from Celtic history. So it is that, initially, the holiday was largely related to the feasts influenced by Celtic harvest festivals in ancient Ireland, especially to the Gaelic Samhain, having thus pagan origins. Subsequently, Samhain was Christianised and became known to this day as Halloween. There are, however, competing sources which claim that Halloween had actually originated independently of Samhain and that it has solely Christian roots. Nowadays, Halloween (alternatively known as either ‘Allhalloween’, ‘All Hallows’ Eve’, or ‘All Saints’ Eve’) is a yearly celebration which is set on 31 October, a date which signifies the eve of the Western Christian feast of All Hallows’ Day. 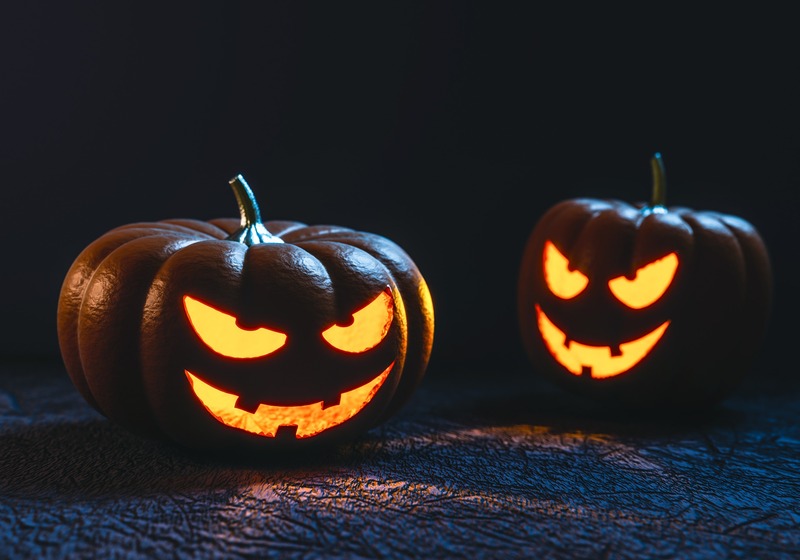 Halloween initiates the triduum of Allhallowtide, the time in the liturgical year dedicated to remembering the dead ones, including the saints (hallows), the martyrs, and all the faithful departed believers. Within Allhallowtide, the traditional focus of All Hallows’ Eve centers around the theme of mockery of death, relying heavily on humour and parody. The word ‘Halloween’ means ‘hallowed evening’ or ‘holy evening’. It comes from a Scottish term for All Hallows’ Eve (i.e. the evening before All Hallows’ Day). In the Scots language, the word ‘eve’ is ‘even’ and it can also be contracted to e’en or een. This holiday is observed in various countries worldwide but, above all, it has a special status (naturally stemming from historical reasons) in the Celtic nations or in the Celtic-speaking regions of Europe. It is, as such, a significant holiday celebrated in Ireland, Scotland, Wales, Isle of Man, Cornwall, and Brittany. The Samhain is a Gaelic festival that once marked the end of the harvest season and signaled the beginning of winter or of the ‘darker half’ of the year. It is celebrated from sunset on the 31 October to sunset on the 1 November, or about halfway between the autumn equinox and the winter solstice. It is also one of the four Gaelic seasonal festivals (the remaining ones being Imbolc, Beltane, and Lughnasadh). 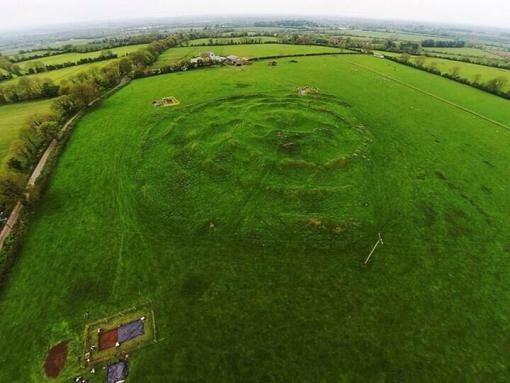 The site of Tlachtga (aka Tlachta) on the Hill of Ward, in County Meath, Ireland is believed to have been the first site of the celebration of Samhain, the precursor to our modern Halloween. The ringfort dates from around 200 AD but festivals and rituals at the site may have taken place as far back as 1000 BC. Priests, augurs and druids used to assemble there to light the winter fires of the Great Fire Festival on Samhain eve. Under penalty of law, all fires that were lit within the kingdom that night were to be kindled from the fire at Tlachtga. Samhain was a festival celebrating the dead and it also marked the beginning of the Celtic New Year. It was during this time that the Irish believed that the graves would open and their gods and spirits, who dwelt inside, would walk the earth again. The emerging of creatures from a cave, Oweynagat, (Ireland’s so-called ‘gate to hell’) is part of this belief. The site takes its name from Tlachtga the daughter of the Druid Mug Ruith who died there giving birth to triplets. It was known in medieval Ireland as a place where Mug Ruith’s flying machine Roth Rámach had been seen, and where the Ard Rí (High King of Ireland) Ruaidrí Ua Conchobair had held a massive assemblage in 1168. He was the last High King of Ireland before the Norman invasion. It’s one of only three similar sites in Ireland; the others being the Hill of Tara and Rathcroghan in nearby County Roscommon. The text in italics can be originally found here.